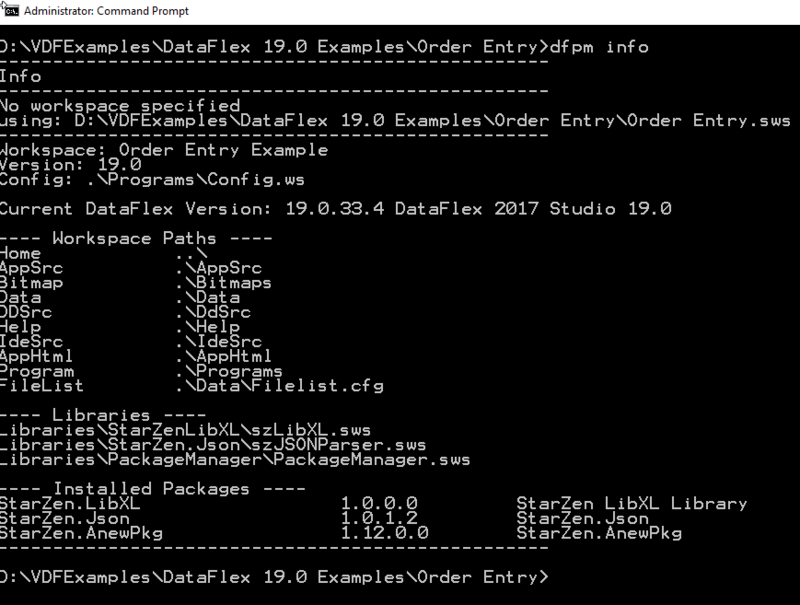 The DataFlex Package manager is a project we are working on to support package management in DataFlex projects similar to NuGet. 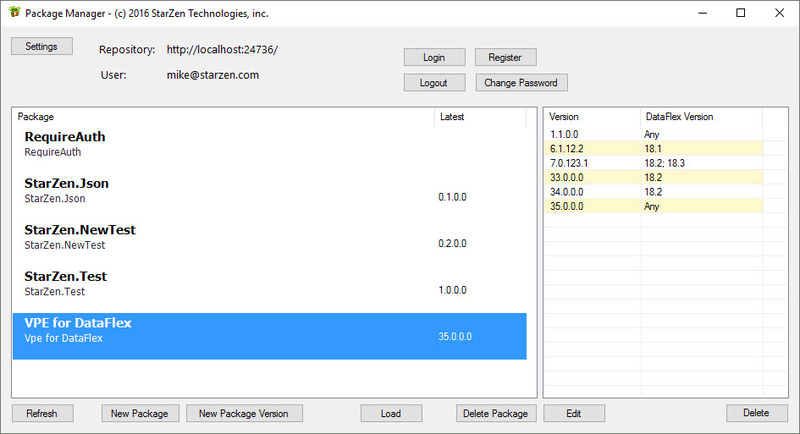 if you are interested in creating package please contact us to get a copy of the Package Manager that allows you to create packages. The server API allows clients to query existing packages and also maintain packages. 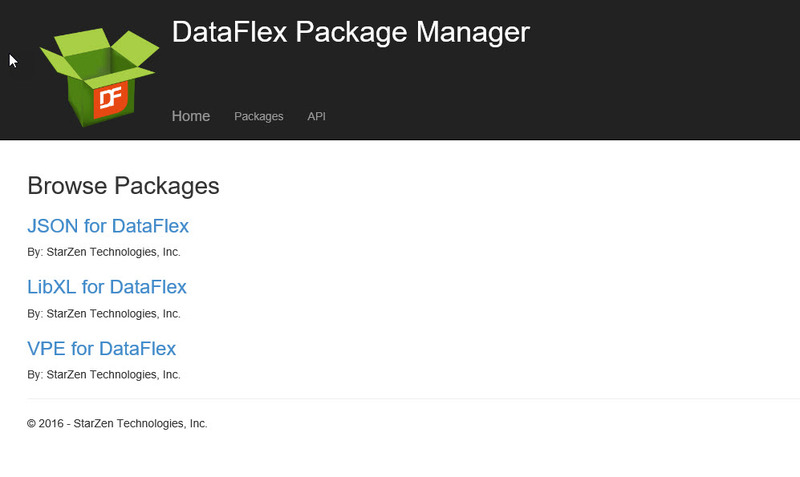 The DataFlex Package Manager supports the use of one or more repositories. Repositories are installed on a web server either local or in the cloud. Web Repositories can serve public packages as well as private packages based on authentication. The repositories server API is created using ASP.NET Web API 2. The API supports functions to query available packages as well as package versions. 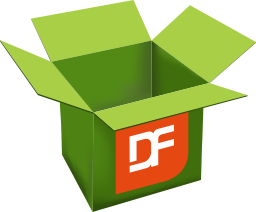 There are also functions to download and upload packages.